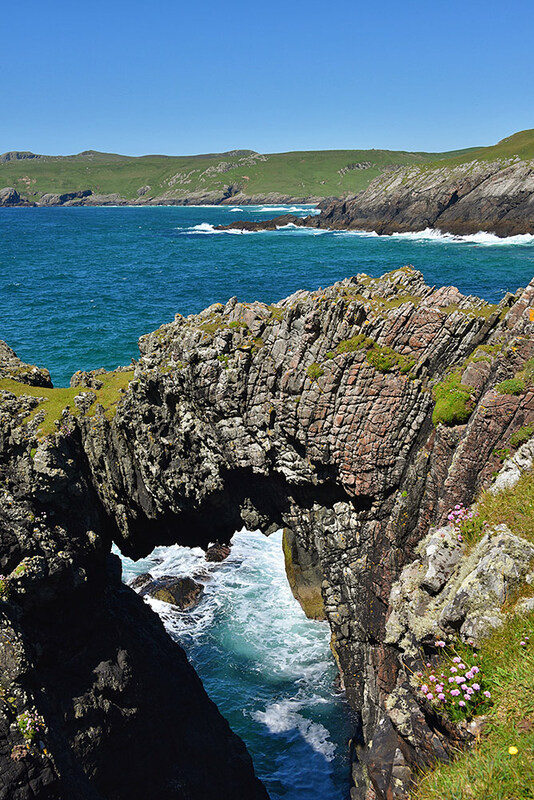 One of the various natural arches on Islay, this one is near Port Fròige just south of Lossit Bay. Lossit Bay also just visible in the background. It is actually possible to walk over this arch if you’re so inclined and not afraid of heights. This entry was posted in Beaches, Landscape, New Post, Sunny Weather and tagged Islay, Lossit Bay, natural arch, Port Froige by Armin Grewe. Bookmark the permalink.